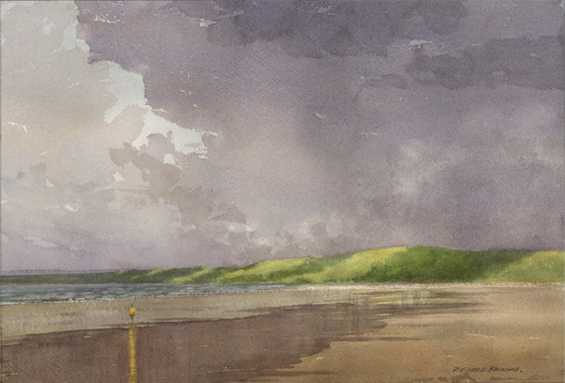 Seascape of Weymouth Bay, the host location of the Sailing events at the 2012 London Olympics, from an original watercolour. Limited Edition of 90 Giclee prints on German Etching paper. Print size medium approximately 14inches x 10inches or 36x26 cm excluding mount. Mounted and cellophane wrapped ready to frame �69.00 plus postage and packing.